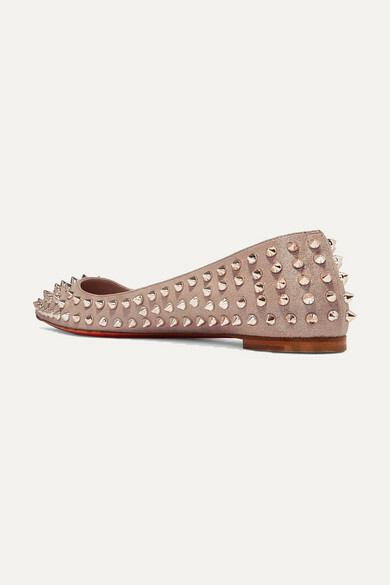 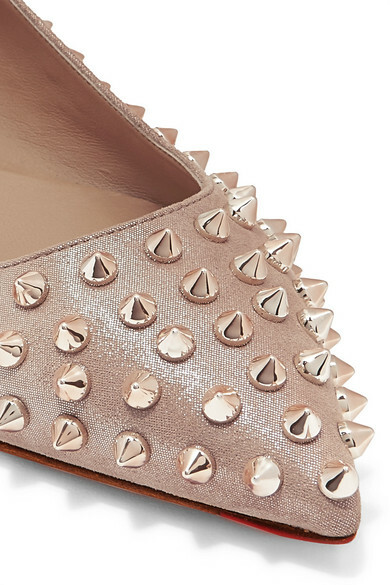 Christian Louboutin updates its signature 'Ballalla' flats in shimmery leather and rose gold spikes for the new season. 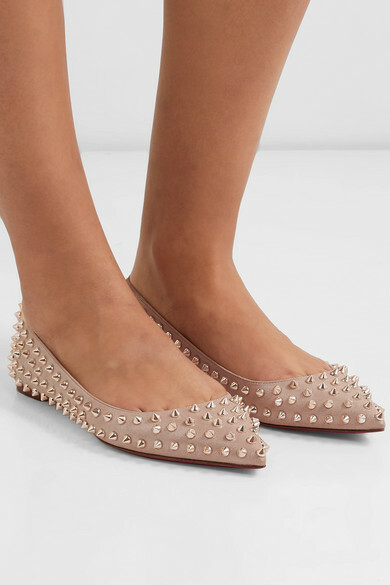 Perfect for parties, this pair has a sleek pointed toe and cushioned leather insole that makes them even more comfortable. 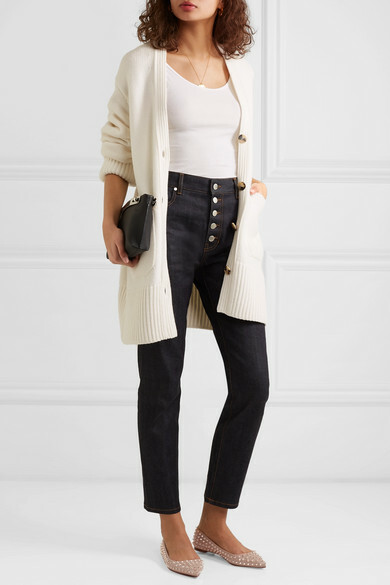 Shown here with: Khaite Cardigan, James Perse Tank, Joseph Jeans, Loewe Shoulder bag, Sophie Buhai Earrings, Alighieri Necklace.